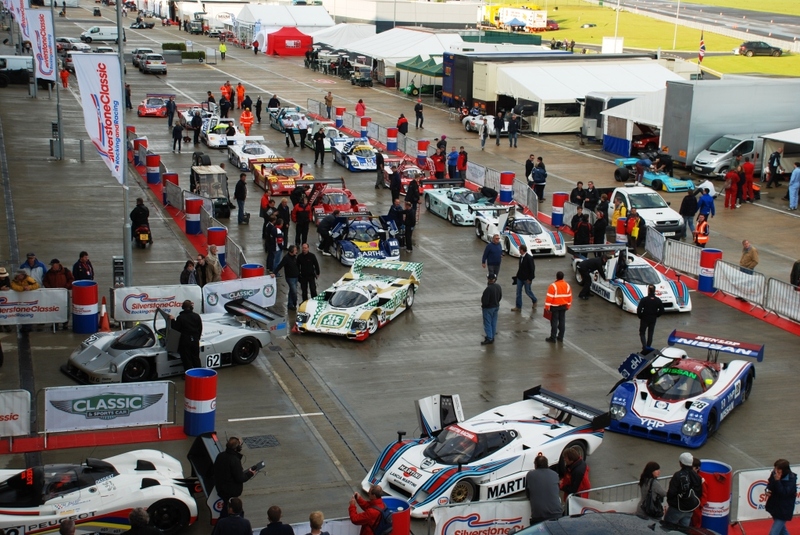 The dates for the 2013 Silverstone Classic have been announced. ‘Early bird’ tickets for next summer’s event are now on sale, and you can save up to 16% before 31st March 2013, compared with standard Adult Event Tickets. You can expect massive grids, live classic rock music, interactive entertainment, special celebrations & parades for car clubs. Firmly established as the world’s biggest classic motor racing festival, next year’s Silverstone Classic will be staged at the world-famous Silverstone Grand Prix circuit from Friday 26 to Sunday 28 July 2013. Building on the record-breaking successes of recent events, next summer’s Silverstone Classic will feature unrivalled racing grids featuring the full spectrum of classic motor sport, an exceptional line-up of classic car displays and parades, an amazing array of interactive family entertainment plus outstanding live music from renowned classic rock bands in the evenings. Sticking to the event’s hugely popular and widely acclaimed ‘access all areas’ policy, tickets will include free entrance to all racing paddocks, trackside grandstands and all live music concerts. Prices are similar to in 2012 when a record 83,500 reveled in the remarkable atmosphere. Adult tickets start from just £30 (plus fees) with considerable savings for festival-goers spending an action-packed weekend at Silverstone and special packages for car clubs. Full details are available on the official website. For 2013, the event will be advance ticket only with no tickets available on the gate. Although more details will be confirmed shortly, the comprehensive collection of races will include Group C prototypes, six decades of F1 cars, plus a mouth-watering line-up of 50-plus car grids for GTs, sportscars, single-seater formulae and touring cars. Following world record celebrations for the Jaguar E-type’s golden anniversary in 2011 and then 25 years of the Ferrari F40 in 2012, the 2013 Silverstone Classic is already gearing up to honour some equally evocative automotive landmarks. Porsche is celebrating the 50th anniversary of its iconic Porsche 911 model with a planned parade of 911 cars on track. Aston Martin will be there in force to celebrate the centenary of its marque and Lamborghini celebrates its 50th anniversary. The live music content in recent years has been equally memorable featuring acts such as Mike and the Mechanics, 10cc, Santana, Suzi Quattro and the Yardbirds – next year’s performers will further build on the event’s unique ‘Rocking and Racing’ reputation. We’ll hope to offer our readers pairs of complimentary tickets, but you’ll need to follow us to keep up to date with our competitions. You can follow us on Twitter, Facebook, subscribe to our newsletter or add our RSS feed to your reader.